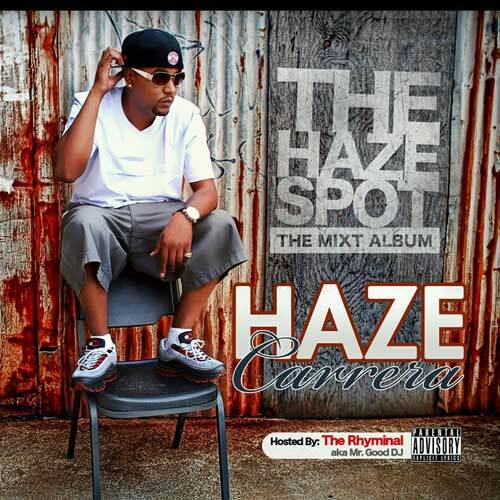 Mass Hip Hop: Mixtape: Haze Carrera "The Haze Spot"
Fresh out of Brockton, MA, Haze Carrera is a member of the group "BBG" who have been building a strong buzz in Massachusetts, Rhode Island and the rest of New England by opening for many national acts. After dropping 3 BBG/Boston Cartel mixtapes, Haze Carrera has just released his solo project titled The Haze Spot (The Mixt Album), hosted by Brockton's own Rhyminal, aka Mr. Good DJ. Follow Haze on Twitter.